Dam Feestartikelen - Recreation in Amsterdam. 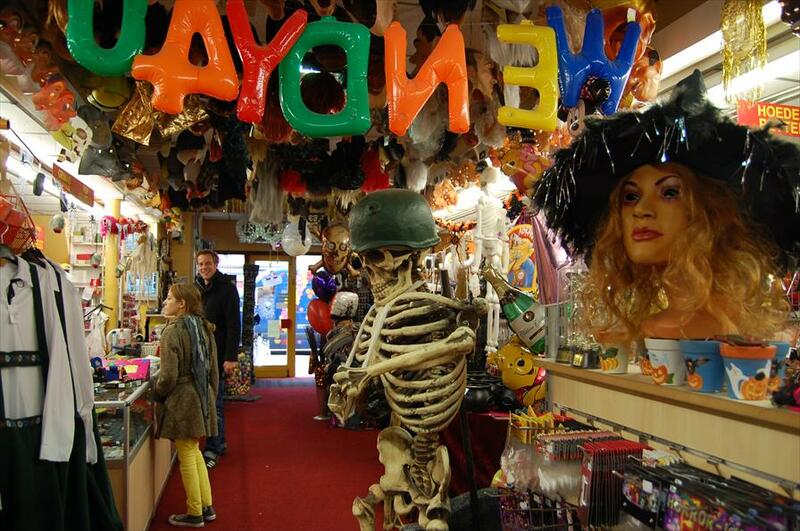 This large party store (250 square meters), was founded over 100 years ago and it’s still a fun place to be. This store is full of great items that will keep you occupied for quite some time. From colourful balloons, original hats, professional (Grimas) makeup and other fun decorations, gift items and accessories. And let’s not forget the last three days of the year, when you can stop by for ear-popping fireworks, everything you can imagine. Be sure to drop by if you’re planning a fancy dress party. 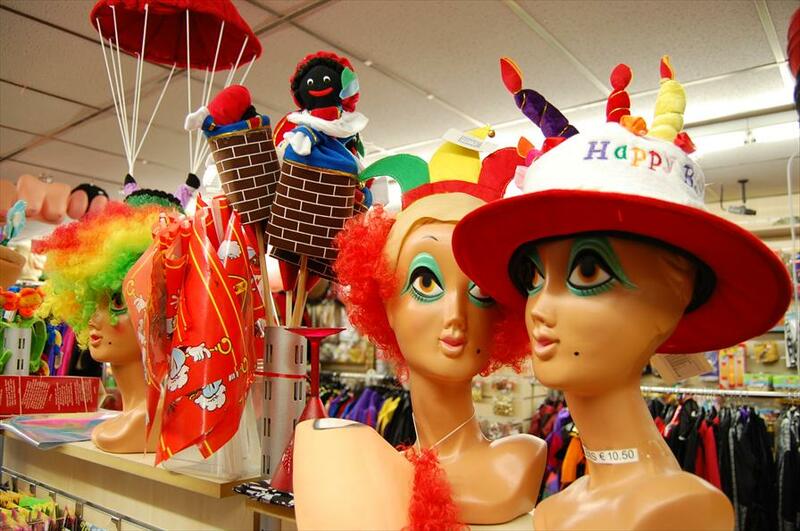 The store offers a great and widely varied collection of Carnaval, Halloween, Sinterklaas and Christmas outfits, which you can complete with crazy accessories in whatever theme you might have in mind. This store boasts a great collection. The balloon collection is especially extensive. This store specializes in balloon decorations. Ordinary balloons, helium-filled balloons, balloons with prints, romantic balloon hearts or an awesome balloon arch…the possibilities are endless. The store’s employees are happy to help you fulfill all your balloon wishes. There’s also the option of sending balloons by mail (via the webshop). Congratulate someone in a unique way and, instead of sending a postcard, send an actual balloon. This option is also open to businesses. The store is always bustling with festive spirit and it is also conveniently located. The Middenweg is the most well-known shopping street in the area and it offers a wide variety of stores. The store has an elaborate webshop.